The HACCP principles have been developed and used in the food industry to identify and manage the hazards and reduce the risks in the food supply chain, associated with food contamination. The National Aeronautics and Space Administration (NASA), the Pillsbury Company and the U.S. Army Laboratories in the United States, developed the principles to help ensure that food was safe to eat, in their space expeditions. Critical Control Points (CCP) had been used to safely test weapons and engineering systems and they applied the same principles to the food industry. The CCP process and HACCP principles, can also be used in the field of extension, to help identify and manage the risks to achieving the objectives of programs or projects. Principle 1: Hazard Analysis – Carry out an analysis to identify potential hazards (risks) to the achievement of the objectives or outcomes, that are set for an extension program or project. List them. For each, identify any hazards to them being achieved. 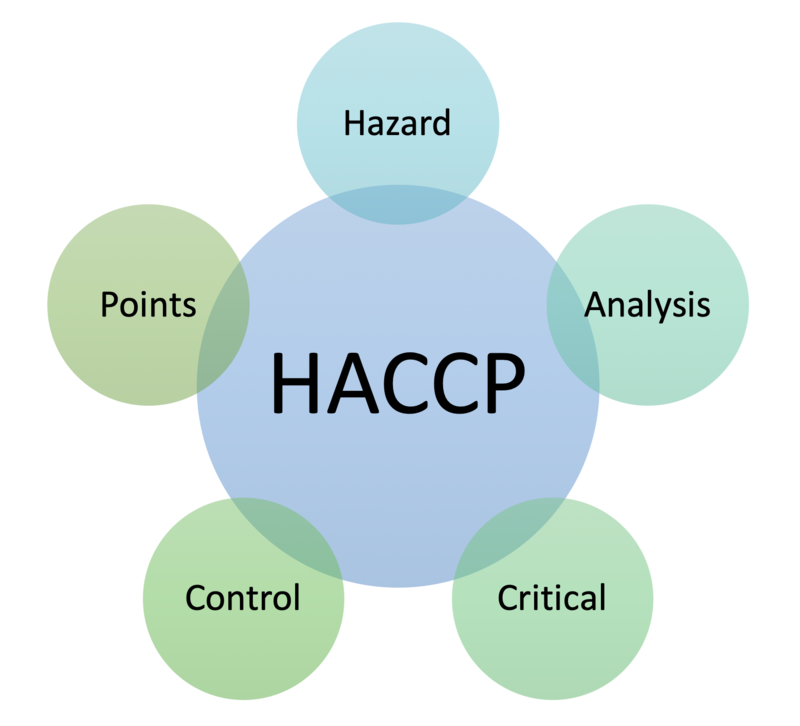 Principle 2: Critical Control Points (CCP) – Is a point at which a hazard can be prevented or controlled to acceptable levels by a step, procedure or process (a control measure). A critical control point may be able to address more than one hazard and some individual hazards may require more than one critical control point. A control point, is any point in time at which a hazard can be prevented or managed, but lack of control at that point does not necessarily mean an outcome or objective will not be achieved. A critical control point is any point where there is a high probability of objectives or outcomes not being achieved, if a hazard is not addressed at that point in time. Principle 3: Establishment of Critical Limits (CL) – A critical limit is the maximum or minimum value to which a hazard must be controlled to, in order to reduce it to a level that it will not effect the achievement of the outcomes or objectives. List them. For each hazard, identify the critical limits. Principle 4: Monitoring of Critical Control Points – Each critical control point needs how it is to be monitored identified, when monitoring is to occur and who is responsible for it to be documented. Principle 5: Establishment of Corrective Actions – Corrective actions are what is to occur when a critical limit is breached. It usually involves identifying the problem(s) and how it is to be rectified. A procedure required to ensure the extension program/ project is achieving its goals. How often and when it is to occur. Who is responsible for ensuring it occurs Who it is that is responsible for managing this procedure. Where it is to be recorded and reported upon. What are the objectives and goals for your extension project or program and what are the hazards to achieving them? Whereabouts in your project or program do those hazards occur? Q1 Does this step in the program or project involve a hazard of sufficient likelihood and severity to require control? Q2 Does a control measure for the hazard exist at this step in the program or project? Answer = No – Is control at this step needed? Q3 Is control at this step necessary to ensure a hazard (risk) is prevented, eliminate or reduced to an acceptable level? Give a row to each steps/activiy required to ensure the extension program or project achieves its goals. What are they? How often may they occur?Potentially when are they likely to occur? Does this step/activity involve a critical control point?